Detailed lesson plans include phonemic awareness, phonics, vocabulary, comprehension, fluency, and writing. Cross-references are made to student materials at point of use. Lessons incorporating the MORE materials provide extra instruction for students who need more practice. 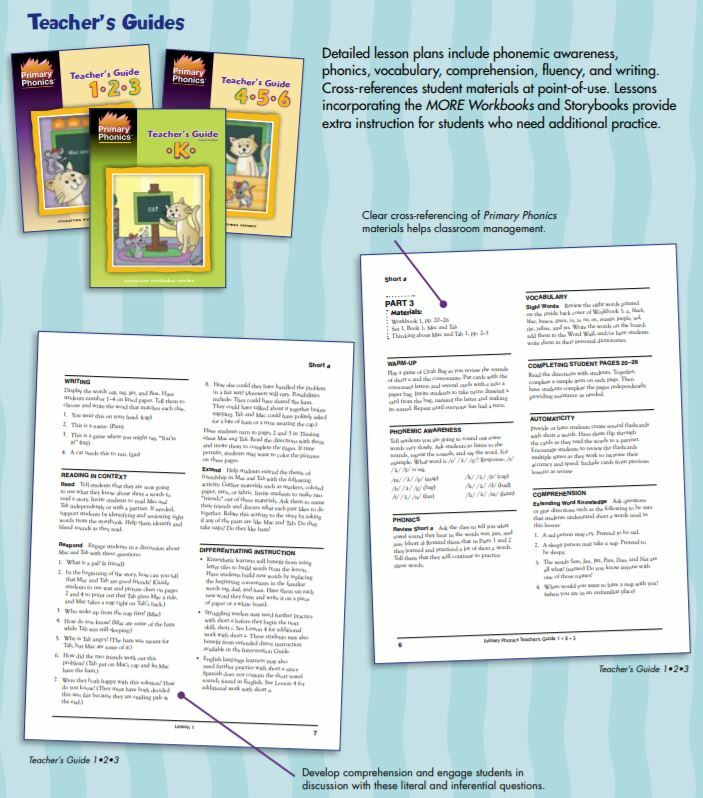 The Primary Phonics Teacher's Guide K* provides instructions to administer the lessons in The Primary Phonics Workbook K . The scripts may be read by the teacher or recorded for students to use independently. In each lesson, students listen to oral directions and form lowercase letters; circle the key letter in context; and identify pictures that begin with that letter. Each lesson also includes cumulative review. 58 pages, softcover. Workbook K 80 pages, softcover. 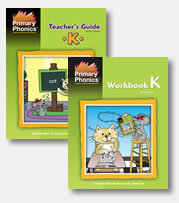 *Please Note: Teacher's Guide K is needed to use Workbook K.